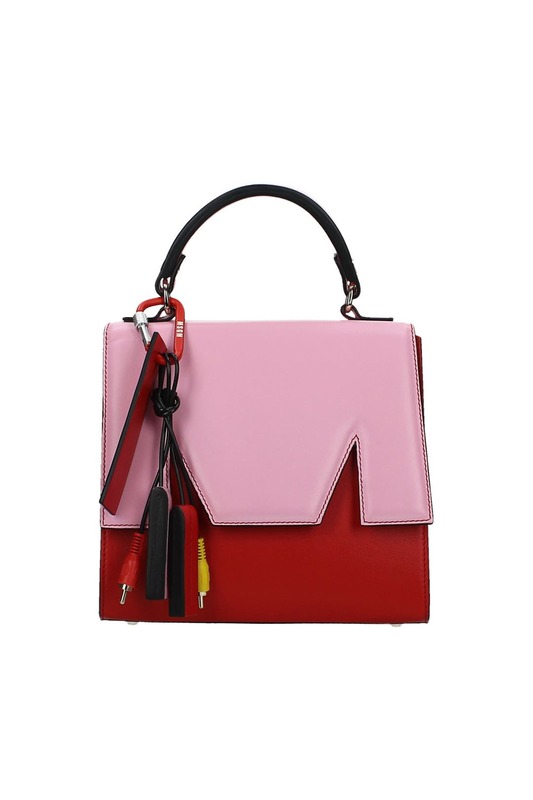 Crafted in this season's hottest color combo, this structured MSGM satchel makes a statement from day to night. Pink and red medium satchel with exposed key ring detailing. Front magnetic closure, patch exterior pocket, and patch interior pockets. Top handle and shoulder strap. 7.5"H x 7.75"L x 4.75"D.